The only West Coast e-magazine. PAXnewsWest.com is arguably the only dedicated on-line travel industry news site for Western Canada. Here, you’ll find all the current industry information, updates and events from across Manitoba, Saskatchewan, Alberta and British Columbia. Readers trust PAXnewsWest.com to deliver comprehensive coverage of industry events complete with photos and noteworthy interviews. The only trade site news in the West. In order to achieve maximum impact for our advertisers and ensure the trade is kept current PAXnewsWest.com distributes a daily newsletter consolidating the day’s top stories, announcements and events. 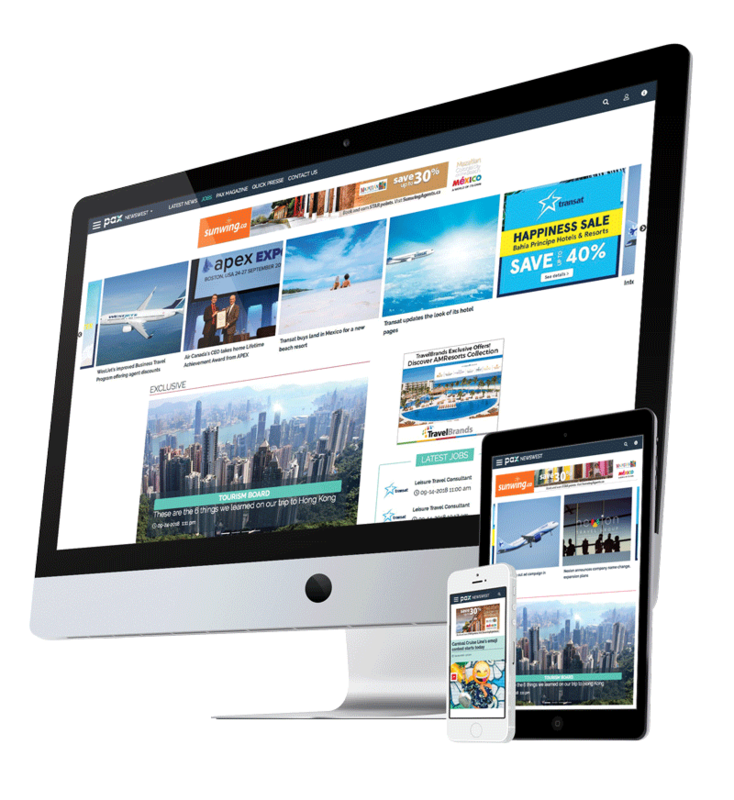 Published and distributed by e-mail, daily M-F to 6,873 travel professionals, this allows travel agents to be kept informed when it comes to travel deals, promos, loyalty programs, webinars and contests. Additionally, special editions with breaking news and events are sent on and ad-hoc basis to all 6,873 subscribers. PAXGlobalMedia is the only travel trade media company whose online subscriber lists have been audited by the national accounting firm Deloitte LLP. With our combined 108,339 subscribers, we have the largest database of travel professionals in Canada, with close to 80% market reach to Travel Agents nationally. We are the only medium whose distribution list is audited by Deloitte LLP, a nationally recognized accounting firm. Every day, we inform travel professionals on the latest and most interesting news with our newsletters. We have a strong team of journalists in Canada who are not only experienced and specialized, but who also provide you with the best information.